Millions of people suffer from sleep apnea, a condition that results in the absence of breathing for periods of time during sleep. Many people are unaware they even have this condition, a disorder that can lead to dangerous health risks, including sudden cardiac arrest, hypertension, stroke, depression, and even death. The most common form of treatment is the CPAP machine that can be very uncomfortable, inconvenient, and intrusive. 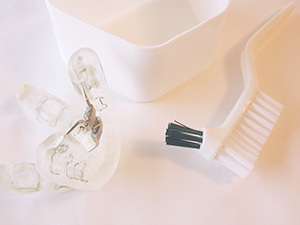 Our office can provide an alternative sleep apnea treatment by fabricating an oral appliance that can help patients obtain a more peaceful and healthier night’s sleep.